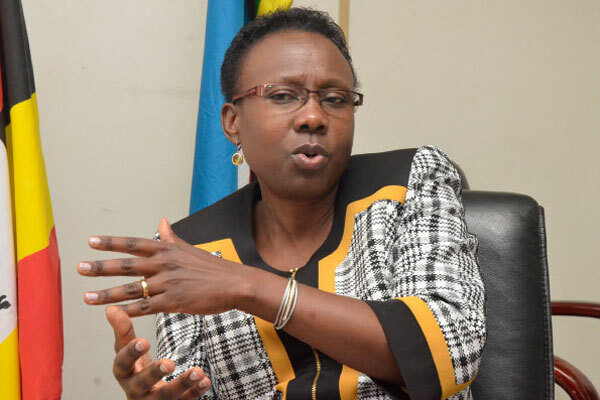 KAMPALA – The Minister of Health, Dr. Jane Ruth Aceng, has said that resistance to antibiotics is one of the worst emergencies facing the country. Speaking at the opening of the 3rd National Antimicrobial Resistance Conference in Kampala on Wednesday, Dr Aceng said. currently, Uganda spends an estimated USD 4,000 to treat a patient with resistant T.B as opposed to the cost of USD 250 for a patient with non-resistant T.B. “Sophisticated medical interventions such as complicated surgery, intensive care and anticancer chemotherapy that we take for granted today would not be possible without effective antimicrobial agent which prevent or treat the infections that would inevitably follow. Unfortunately, man has not used this precious resource judiciously and we are now rapidly descending into the post-antibiotic era where no effective antibiotics shall be available for most infections,” the minister said. “In addition to causing death, antimicrobial resistance is threatening our economies especially those of developing countries. The second line antimicrobial medicines needed to treat resistant infections are not only toxic but also prohibitively expensive,” she added. The minister said in many health care facilities, drug shops and homes, Ugandans continue to use antibiotics in an unregulated manner, offering a chance for resistant organisms to proliferate. “The situation is probably worse in the animal production where antimicrobials are used as growth promoters, with the sector accounting for more than 80% of all antimicrobials used globally,” she added. In response to the problem, Dr Aceng said the Ministry of Health in collaboration with partner Ministries of Agriculture, Water and Environment, the Uganda Wildlife Authority, the National AMR Taskforce, WHO and the Uganda National Academy of Science has developed a National Action Plan against Antimicrobial Resistance, which is expected to be launched before the end of the conference. The World Bank estimates that antimicrobial resistance could drive up global healthcare costs by between 300 billion and 1 trillion dollars.